Read a review of slight faith by Barbara Lloyd McMichael in Coast Weekly. "Ice Would Suffice" from slight faith was recently featured on Verse Daily. 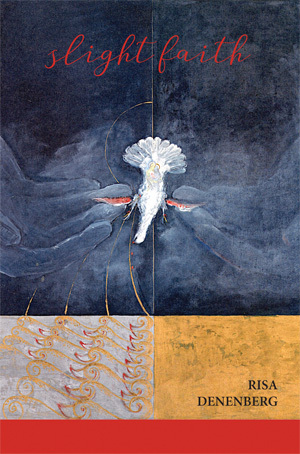 Risa Denenberg was born in Washington DC in 1950 and has lived in Miami & Tallahassee Florida, New York City, and rural Pennsylvania prior to moving to the Pacific Northwest in 2008. She is a nurse practitioner who has worked for more than four decades in diverse health care settings including women’s health, HIV/AIDS, chronic pain, and hospice and palliative care. She volunteers with End of Life Washington, the advocacy group that supports Washington state’s Death with Dignity Law. 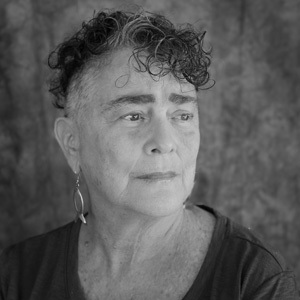 Denenberg reviews poems for the American Journal of Nursing and is a cofounder and editor at Headmistress Press, an independent publisher of books of poetry by lesbians. She is the author of three chapbooks and two prior full-length poetry collections, Mean Distance from the Sun (Aldrich Press, 2014) and Whirlwind @ Lesbos (Headmistress Press, 2016). She currently lives with her cat, Bo, in a place of stunning beauty on the Olympic peninsula. From her writing desk, she looks out at Discovery Bay and, on a clear day, she can see Mount Baker in the distance. She enjoys yoga, cooking, drawing, and reading. Risa will be at the MoonPath Press group reading at Open Books, Seattle, WA. Saturday, November 3rd from 7:00pm - 8:30pm.